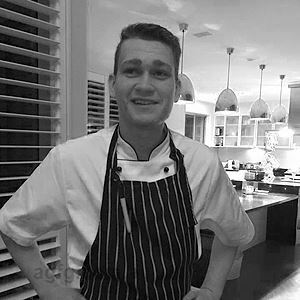 I began as a dish hand at Jacobs Well Tavern when I was 14 before becoming a waiter at Garlic Clove Restaurant in Varsity at 16. 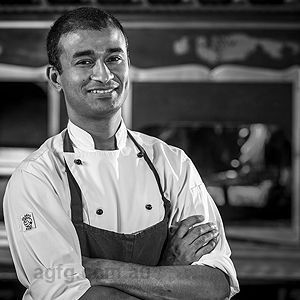 After I finished school, I had a trial at MODA restaurant in Brisbane, which I found to be very challenging and it made me really think about whether becoming a Chef was what I wanted. I began my apprenticeship at Harrigan’s Irish Pub, where I worked under Michael Harris for a year before moving to Justin Lane in Burleigh where I worked for its sister restaurant, Cavalier Bar and Supper. I learnt a plethora of important techniques under James Attoe and Bryce Hayes! 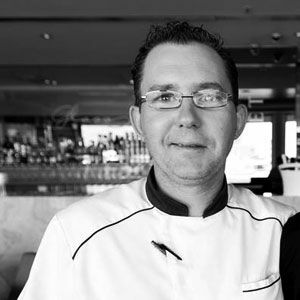 I finished my apprenticeship and moved into a Sous Chef role at Pablo Pablo where, once again, I learnt some incredible techniques and philosophies under Eric Garcia, many of which are ingrained in the fibres of Nero Dining. Always! Masterchef was a big draw card when I was young. It really showed the industry in a different light. Being a Chef was something that came relatively easy to me and it’s a lifestyle that really fits in with my personality. I’ve always wanted to make a life and career out of it. Simple but sophisticated and very restricted. I like to put very few things on the plate and do very little to those things and I thoroughly enjoy making things from scratch. Black garlic. I had to stop myself from putting it on everything. Its molasses and smoky nature really intrigues me. Aside from that, a lot of the leaves we are getting from Jensens at the Rocklea Markets. Magnus Nilsson. 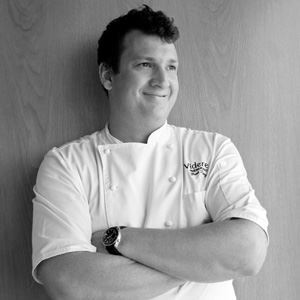 Teage Ezard. Frank Camorra. Dan Hong. Josue Lopez. Beef Carpaccio with brown butter emulsion and smoked turnip. House made tagliatelle with Moreton Bay Bug, chilli, black garlic and bottarga.